On Thursday 8th December IT Services will be upgrading the Library’s PCs. The work will take approximately one hour per PC, during which time an “out of use” message will appear on the screen. IT staff will ensure that there are always some PCs available for use, but please be prepared to move to an alternative PC on request. 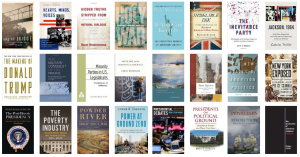 New books received during November may now be seen on our website and LibraryThing page.